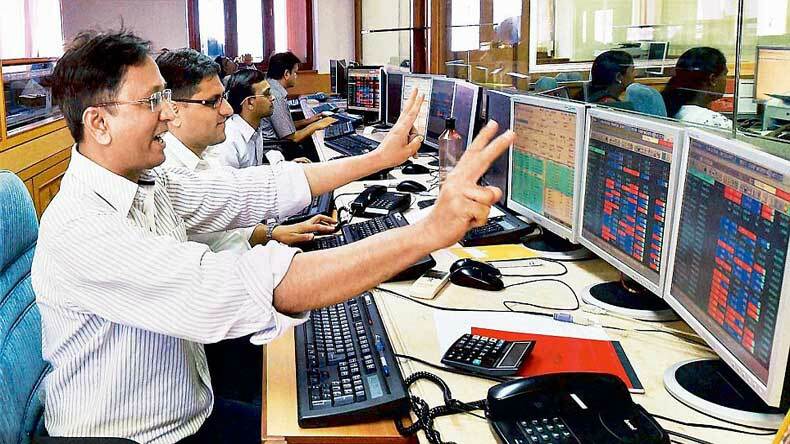 The benchmark BSE Sensex rose by almost 350 points in early trade today on emergence of buying by funds and retail investors amid a firming trend in global markets after the US Federal Reserve took a dovish stance on monetary policy. Besides, strengthening of the rupee against the US dollar supported the recovery. The 30-share index, which had lost 114.26 points in the previous session, rose by 349.79 points, or 1.22 per cent, to 28,971.91, with all sectoral indices, led by healthcare, capital goods, metal and consumer durables, trading in positive zone with gains up to 1.46 per cent. Also, the National Stock Exchange index Nifty regained the 8,700-mark by surging 99.95 points, or 1.15 per cent, to 8,785.85. Brokers said a firming trend in Asian markets, tracking overnight gains in US bourses boosted by comments from the US Federal Reserve that cooled expectations of an early interest rate hike, influenced the sentiments here. Prominent gainers that supported the key indices were GAIL, Axis Bank, Wipro, Hindalco, TCS, Tata Steel, Sesa Sterlite, L&T, HDFC Ltd, Cipla, Hindustan Unilever, Coal India, Dr Reddy and Tata Power. Among other Asian markets, Hong Kong’s Hang Seng was up by 1.47 per cent while Japan’s Nikkei shed 0.65 per cent in early trade today. The US Dow Jones Industrial Average ended 1.27 per cent higher in yesterday’s trade.